Available for the first time in English, here is an unforgettable novel about the desolation of Hitler's post-war Germany. The war is over, yet Dr. Doll, a loner and "moderate pessimist," lives in constant fear. By night, he is still haunted by nightmarish images of the bombsite in which he is trapped-he, and the rest of Germany. More than anything, he wishes to vanquish the demon of collective guilt, but he is unable to right any wrongs, especially in his position as mayor of a small town in northeast Germany that has been occupied by the Red Army. Dr. Doll flees this place for Berlin, where he finds escape in a morphine addiction: each dose is a "small death." He tries to make his way in the chaos of a city torn apart by war, accompanied by his young wife, who shares his addiction. Fighting to save two lives, he tentatively begins to believe in a better future. 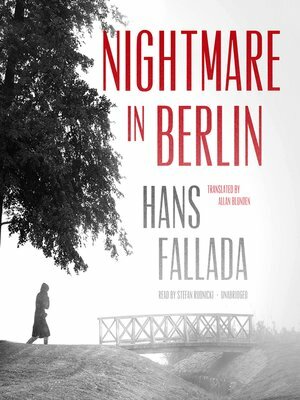 Nightmare in Berlin captures the demoralized and desperate atmosphere of postwar Germany in a way that has never been matched or surpassed.